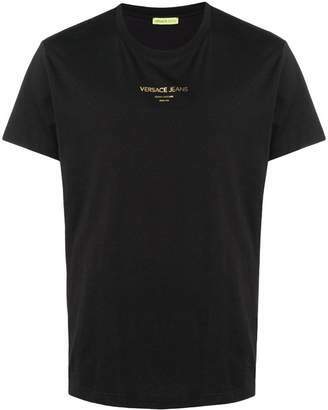 Donatella pays tribute to her late brother Gianni Versace by bringing his original designs back to the forefront of the label. 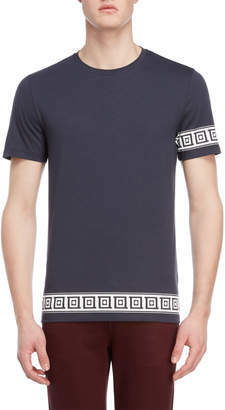 Archival prints, iconic motifs and retro-inspired details are reinvented for the new collection. 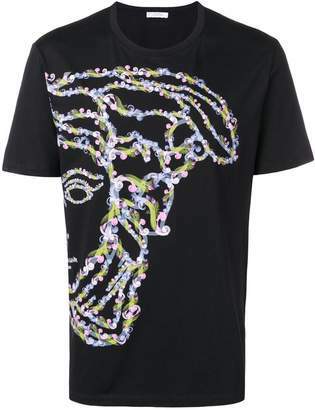 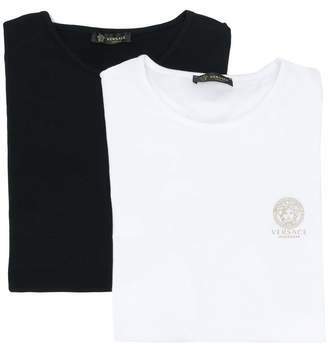 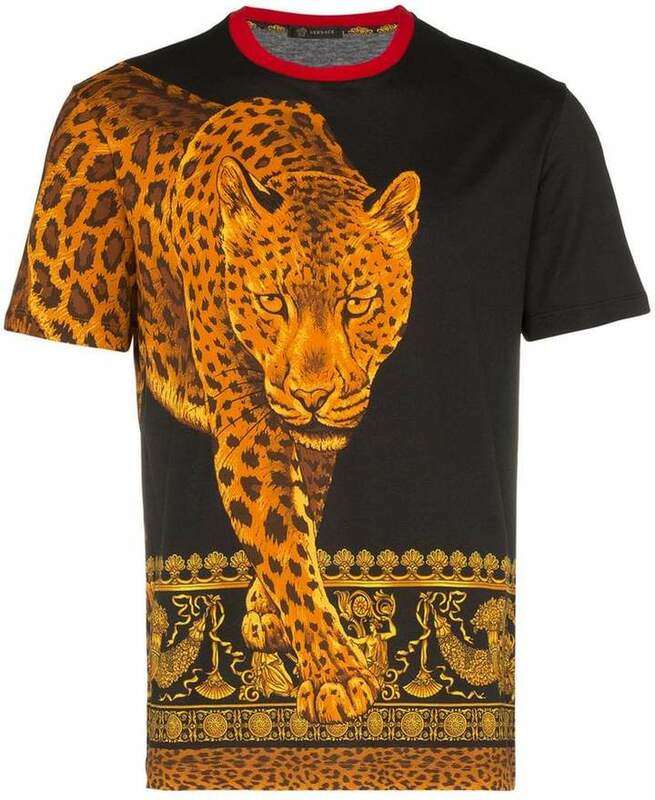 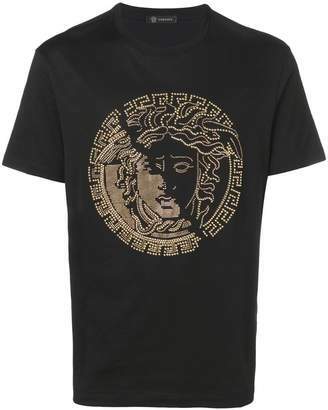 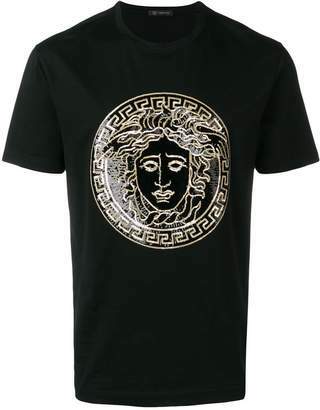 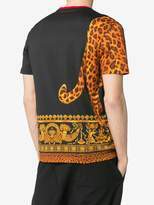 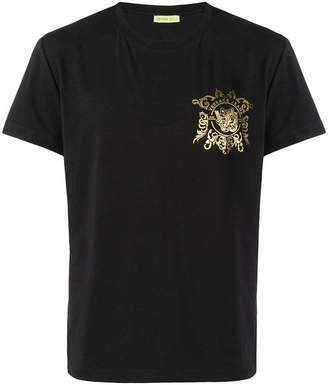 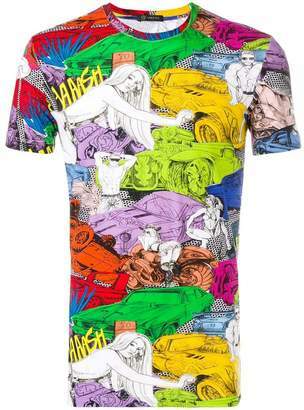 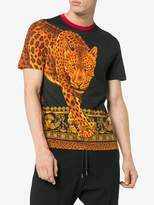 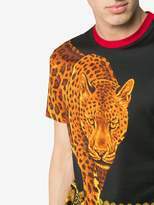 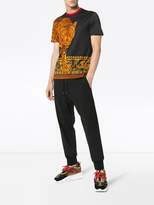 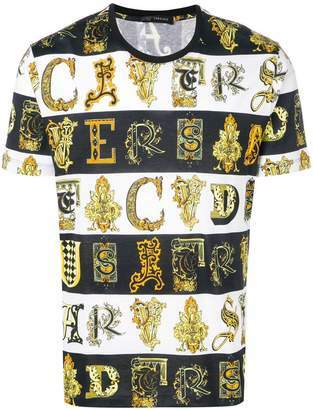 This black Signature Wild print cotton T-shirt from Versace featured a red round neck, short sleeves and a straight hem.